Following the musical quagmire of the Brit Awards, Getintothis Craig MacDonald finds some hope for the future in this weeks gig guide. If you were one of the unfortunate souls to have watched last week’s BRIT Awards, you could be forgiven for thinking that the British music scene is going through a real rough patch of late. What with Coldplay winning their 378th award and the dead being nominated among people in bands for best solo artist awards, there was a stench of desperate predictability about the whole turgid mess. But fear not friends. For among the junk, there were some genuine signs that all is not lost and that Liverpool firmly has a helping hand in the hope for the future. Although the hype machine may be in overdrive for the likes of Jack Garratt and Catfish and The Bottlemen, both of these BRIT winners have honed their skills at Liverpool Sound City over the years. Want to know who else has played Sound City over the year? Click here to find out. This week, the festival announced some of the best talent in the North West that will be joining this years line up. Rising starlets Trudy and former GIT Award nominee Xam Volo head up a list that includes Blue Saint, Johnny Sands, Little Triggers and Deadbear. 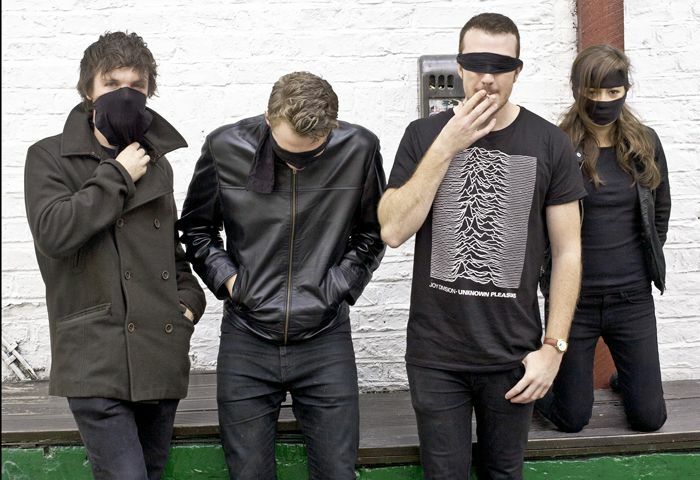 Also joining them down the docks will be False Advertising, Horsebeach and JUDAS, while following the release of their debut album, She Drew The Gun will also in attendance as will Shrinking Minds, Sky Valley Mistress, The Night Cafe and Sugarmen. Phew! Just like Sound City, this weeks gig guide features some of the best talent around. Who know’s, maybe some of these name’s will be gracing The BRITS with their presence in the future? And if we can get our editor and Juliette Lewis to share presenting duties, we’re there! 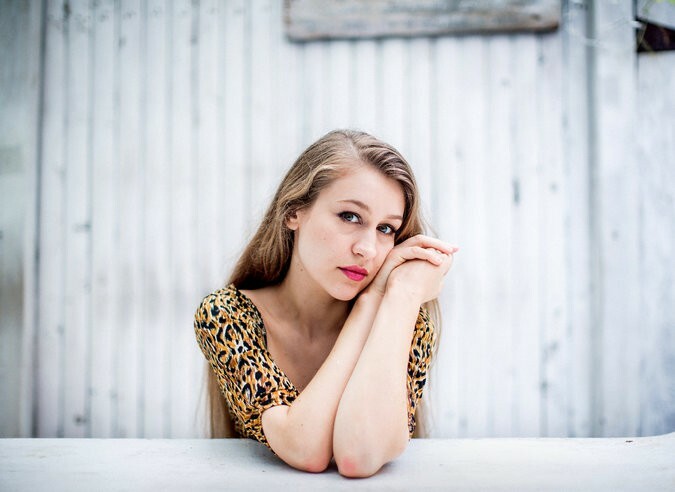 With her album Divers continuing to gain rave reviews, the uniquely talented Joanna Newsom makes a much anticipated appearance at the Philharmonic Hall as part of her UK tour. Profoundly fearless at times, her latest offering is perhaps her most refined to date, but still finds her meandering on her own eccentric path. If you have yet to see her play live then prepare to be astonished. Joining Newsom will be another vocal wonder, in the form of Fleet Foxes frontman Robin Pecknold. Having taken a leave of absence from music to pursue a degree, he returns to the fold with the promise of a set filled with new material. Our pick for last year’s Mercury Music Prize with his tremendous debut Architect, the murky Glaswegian pop of C Duncan makes a much welcomed stop off at Leaf as he comes to the Bold Street venue. After a frankly ridiculously lowly attended support slot for Lucy Rose last year, we are hoping for more to be witness to his talents. With another firm favourite in the shape of Tom Low in support, this should be a quality night. Not a gig as such but a night of celebration in support of new label Ocean Waves which has been bubbling under the radar over the last year. Topping the bill will be local angsty miscreants The Sneaky Nixons who will be injecting a dose of attitude into the Baltic Triangle venue. Expect a lyrical masterclass from The Shipbuilders with acoustic songsmith Stephen Langstaff bringing his eclectic talents to the fold too. The Levons will be looking to impress as they to show their new experimental sounds. Playing some of his bands classics among hopefully some new material from their forthcoming album Give Me Your Future, Space frontman Tommy Scott plays a special acoustic slot, while the inventive jazz of Barney Goodall & The Nighthawks and the sublime talents of Satin Beige also feature on the line up. 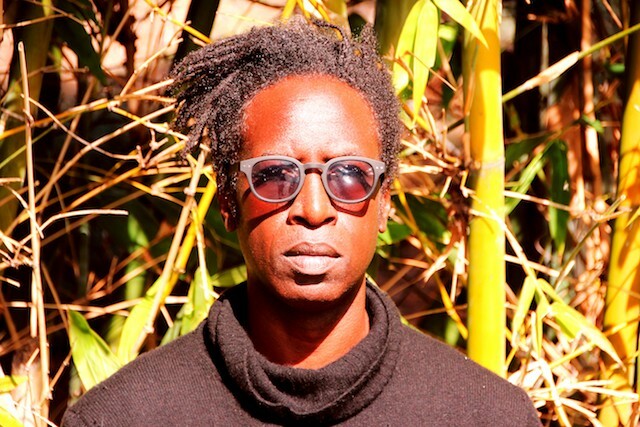 The much lauded hip-hop poet Saul Williams finally makes his debut Liverpool appearance as he plays 24 Kitchen Street in support of his latest album Martyr Loser King. With this being his only show outside of London, this is one not to miss. From poetry to acting via political activism, their is no end to the talents that Williams possesses. With his groundbreaking debut Amethyst Rock Star, he has rightly been seen as one of the most forward thinking hip hop artists of our times. 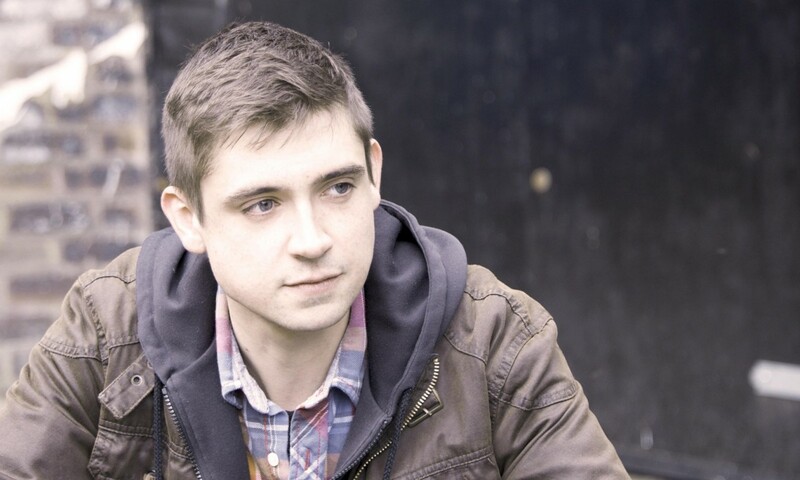 Recently announced for Sound City, the enigmatic cosmic sounds of Blue Saint will be in full flow, while Bristol based award winning poet Steve Duncan will be one to catch for fans of spoken word. Launching new label and promoters Bitchisim, The Pink Punk Party bring all the razzle dazzle to Drop The Dumbells for what will be a celebration as the collective champion equality through punk. 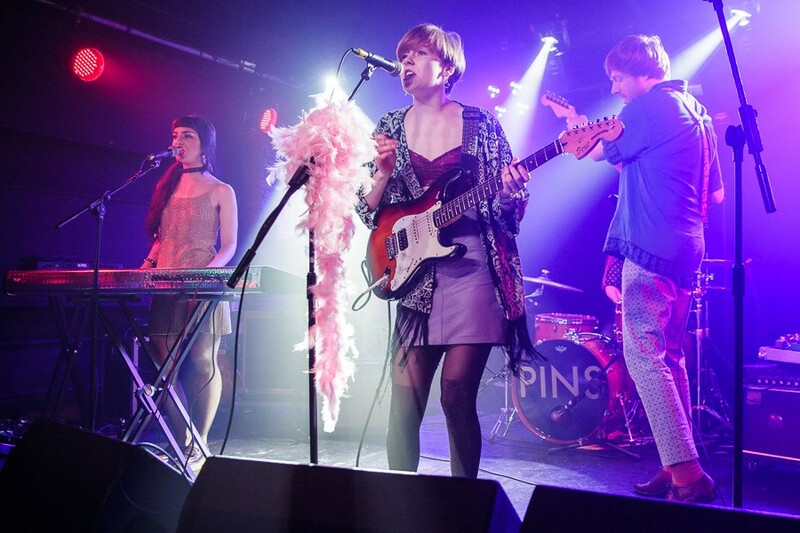 One of the most talked about groups around right now, Pink Kink will be bringing their hip shaking feel good vibes to the party, while SEXDREAM will be dishing out a kaleidoscope of shoe gaze. the raw punk of Queen Zee & The Sasstones will be on full force among the glitter cannons and raving. This will be one hell of a party. The Kazimier Garden will be playing host to a unique night, in celebration of the artists that make up the notorious 27 club. With dancers and musicians combining over two stages, the free gathering will pay tribute to the likes of Kurt Cobain, Jim Morrison and Amy Winehouse as they go through the infamous club members hits.